A False Alarm is when the Fire Brigade attends a premises in response to a Fire Alarm where there is no FIRE. False Alarms disrupt the community, cause complacency and business down time due to evacuations, and divert responders away from genuine emergencies, which could potentially lead to loss of life and property. 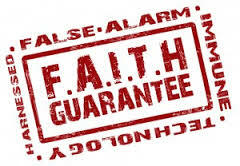 In 2015, 97% of the Automatic Fire Alarms (AFA) that Fire & Rescue NSW (FRNSW) responded to were due to False Alarms, In Queensland QFRS refer to a False Alarms as an Unwanted Alarm. These charges recover less than 25% of the estimated full costs of attending an unwanted alarm activation. State Fire Brigades, source data regarding False/Unwanted Alarms. How do we Eliminate False or Unwanted Alarms?